Marian Regional Medical Center in Santa Maria recently added two new state-of-the-art devices to its heart program's repertoire. Marian's Sue J. Sword Heart Center now offers a new type of heart device—one described as "the world's smallest pacemaker," for patients with slow or irregular heart rhythm, otherwise known as bradycardia. The Micra Transcatheter Pacing System is one-tenth the size of a traditional pacemaker. According to Sara Juan, the hospital's communications manager, the devices were each roughly the size of a large vitamin. STATE OF THE ART Marian Regional Medical Center's heart program is rated among the top 10 percent nationally for heart care, according to hospital officials. "Unlike traditional pacemakers, it does not require cardiac wires (leads) or a surgical pocket under the skin to deliver a pacing therapy," she said in a statement. "Instead, it is small enough to be delivered through a catheter and implanted directly into the heart with small tines, providing a safe alternative to conventional pacemakers without the complications associated with leads—all while being cosmetically invisible." Juan said the Micra is also designed to automatically adjust pacing therapy based on a patient's activity levels. Chief Operating Officer Mark Allen told New Times in an email that the availability and delivery of advanced heart services was one of the medical center's core missions. "The management of cardiac disease is rapidly evolving with emerging technology in coronary intervention and structural heart care," he said. Allen said the addition of the pacemakers would lift the travel burden for many patients who otherwise would be stuck driving hundreds of miles for similar care. "[They now] will receive the most advanced, high quality heart care available in a caring environment close to home," he said, adding he was unsure which hospitals outside the local area even offered the treatment. "Heart disease remains the leading cause of death for both men and women in the United States. A robust heart center, with advanced state-of-the art technology and capabilities, can help change the course of heart disease in our local and surrounding communities." At Marian's Structural Heart Program, where Dr. Joel Lardizabal recently implanted the first and only FDA-approved device designed to help reduce the risk of recurrent ischemic strokes in patients diagnosed with a patent foramen ovale—a small opening between the upper chambers of the heart, according to hospital officials. The device was designed to close the ovale and lower the risk of stroke caused by dangerous clots passing between the heart chambers and up to the brain. Placement of the device is minimally invasive and performed while the patient is sedated but still conscious, according to the hospital. "Marian's Sue J. 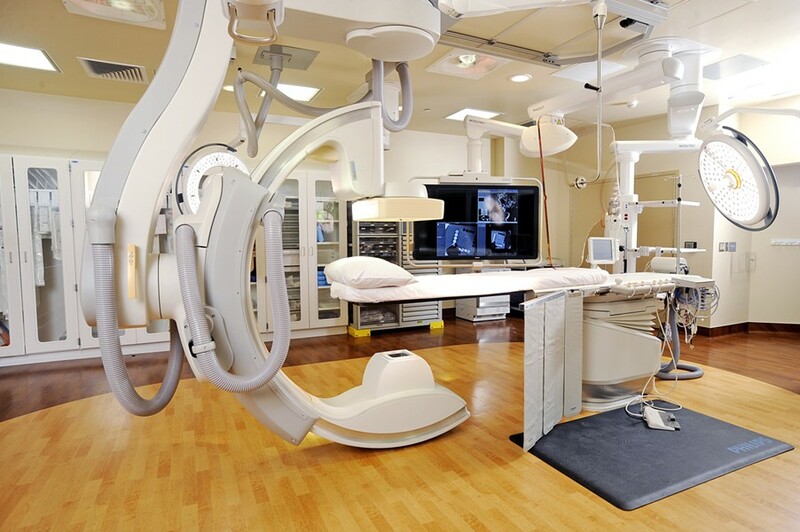 Sword Heart Center is pleased to be able to offer these advanced medical technologies to Central Coast cardiac patients," Marian President/CEO, Kerin Mase said in a statement. "These advancements further enhance the cardiovascular technologies in our own community, mitigating the need to travel for cardiac care." • In light of the spreading damage the Thomas Fire is causing in Santa Barbara and Ventura counties, the Paso Robles Horse Park is opening its doors to evacuees. For those looking to evacuate their horses the park asks for a $20 donation per stall and $6 for a bag of shavings; the proceeds will go to the Paso Robles Horse Park Foundation. The foundation is working directly with organizations making an impact on the ground in affected areas. To learn more about how to evacuate your horse or how to volunteer, visit pasorobleshorsepark.com or text (805) 610-6326. Staff Writer Spencer Cole from the Sun, our sister paper to the south, wrote this week's Strokes and Plugs. Send tidbits to strokes@newtimesslo.com.